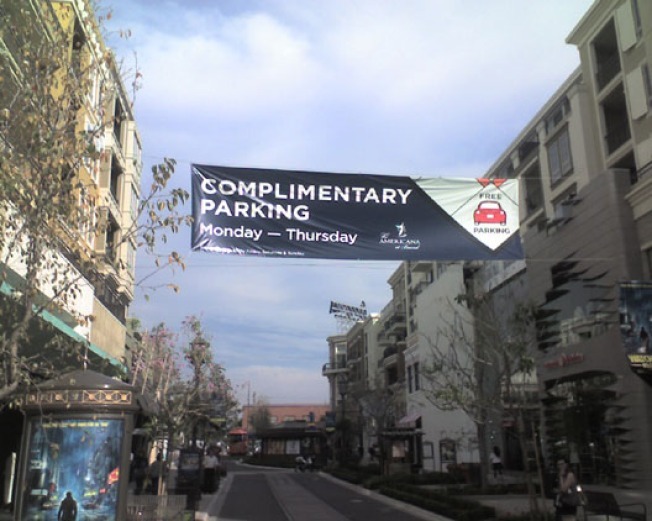 Good news, Americana at Brand shoppers: From Monday to Thursday, parking at the mall is now free. An Americana employee tells us the change happened earlier this month, and a helpful reader sent in this photo as further evidence. Does this mean people will finally stop leaving their cars at the Glendale Galleria?